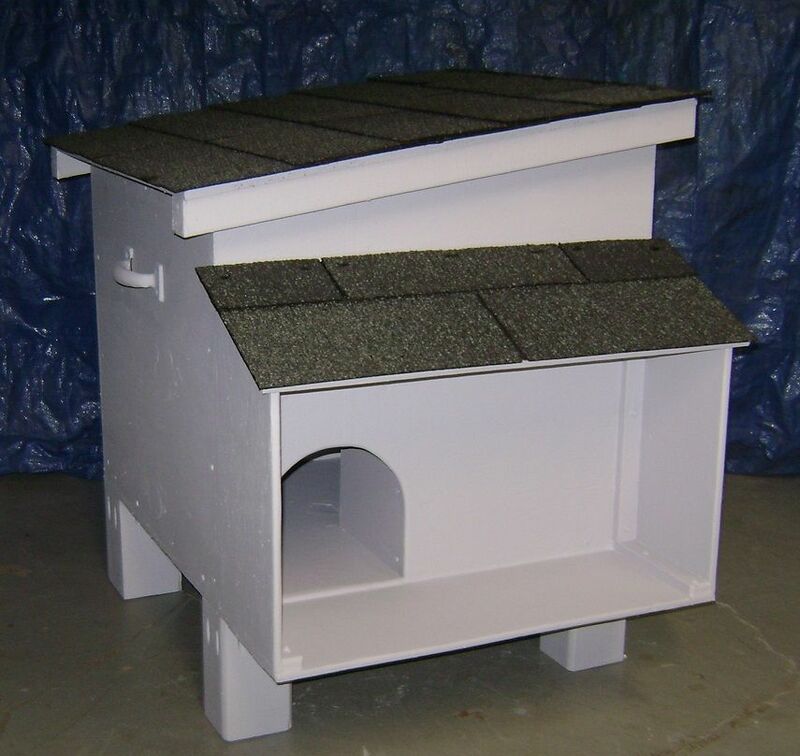 Feral cat shelter sized to protect a single cat from inclement weather. The design is based on cumulative recommended dimensions and materials by humane organizations around the U.S. Fully insulated with protection from wind. Shingled roof opens on a hinge for full inside access to maintain bedding. Small porch can be used to protect food from rain and snow. The legs hold the house 6" off the ground and the overall dimensions are 29"H x 22"W x 29"D.
This item available for local delivery only in N.J.